Before you treat me like a crazy person, please go to Deuteronomy 14:1 “You are the children of the LORD your God…”. The Hebrew words used are ” בָּנִים אַתֶּם, לַיקוָק אֱלֹהֵיכֶם” and there is no mistake when referring to “Sons”. The light of the whole Torah is revealed here by Moses. The book itself is also called “Mishneh Torah”, which means the “repeated Torah”. The name of this portion is “Re’eh” and it means “To see”. The numerical value is 206 and with the Kolel (adding 1 for the whole) = 207 = Light (אור) = Secret (רז). When we add the letter Yod we have ראיה = seeing and its numerical value is 216. This number represents the 72 names of God (216 letters) and the female aspect of the light in Malchut. Now let’s reveal the real secret of this verse. The whole verse says “You are the children of the LORD your God. Do not cut yourselves or shave the front of your heads for the dead”. This means a simple thing: “Death has nothing to do with the body”. Ask any physicist about what happens to the body after death? Is it gone? He will answer you that the body is still in existence, just in a different form. The atoms of all people from the past are still traveling in space (don’t look up to the sky) and you may even be inhaling the atoms of Abraham or Mozart or … at this moment. The Zohar comments about this verse that we are the sons of God when we connect Chokmah (Aba = Father) and Binah (Ima = Mother). This connection to father and mother put us in the state of Son of God. This can be achieved when we act with consciousness above the material. When you read the parasha you find many examples on how to connect higher. I will bring just one example that demonstrates how much God gives us the opportunity to connect to him and get certified as “Son of God”. In 15:7-10 God tells us to be generous and help the poor. In 15:11 we read “There will always be poor people in the land. Therefore I command you to be openhanded toward those of your people who are poor and needy in your land.”, Again “There will ALWAYS be poor people in the land.”. God promises us an endless supply of poor people. When we see poor people we should not think that someone else will take care of them. We should do that willingly and with open heart. Only then you can have the God’s blessings like a good son. Connect to Father and Mother and start with your own parents. Treat them with all the respect and love and not just because it is the fifth commandment; “Honor your father and your mother, that your days may be long upon the land which the Lord your God is giving you” ,but because it is the closest connection you have to supernal Father (Chokmah) and supernal Mother (Binah). Give them a call and say you love them. If your parents passed away then share this article and/or the lesson of it with other people. estos analizas de la torah son fantásticos, por que hay tan pocos lo he leído y se repiten el sabio que escribió esto es un hijo de Dios real, me gusta todo los detalles de guematria y todo lo que ustedes ven muchas gracias. Thank you. Ribono shel Olam did not not allow me to see your site until yesterday and I am happy to have found it. Please tell me who you are as you know it is important to know the speaker… you know what I mean. 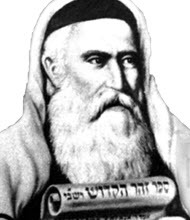 Dear Avraham, to know the ‘speaker’ read his writings.